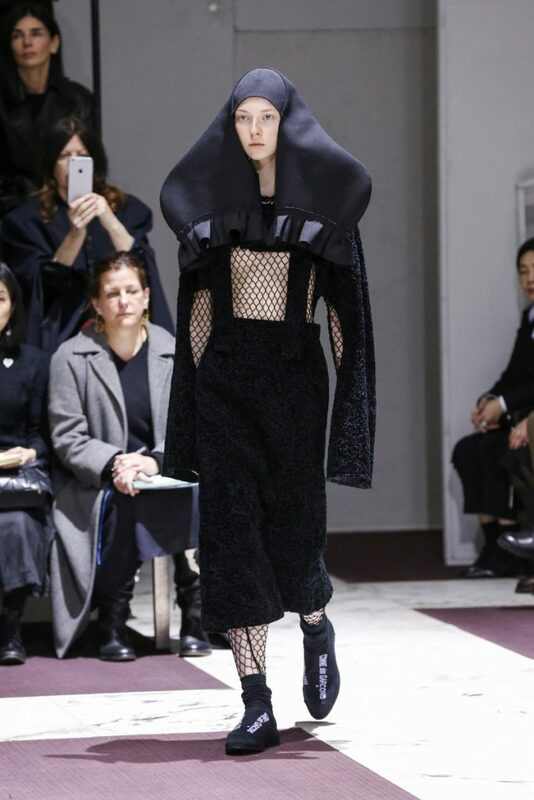 It seems scary hairstyles are a turning into a trend. 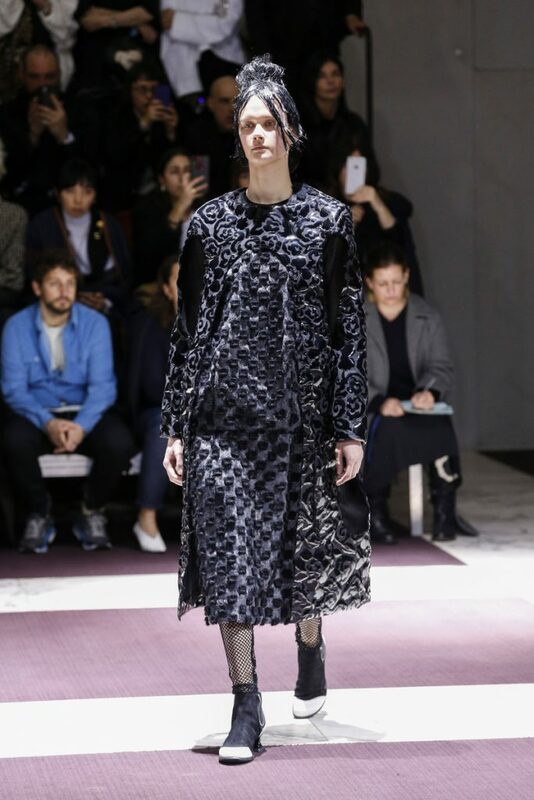 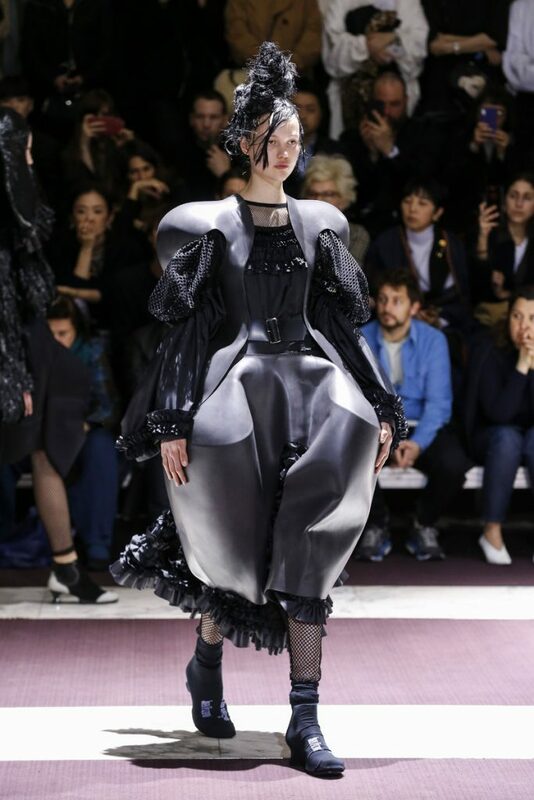 First Prada, then Watanabe and now Comme des Garçon. 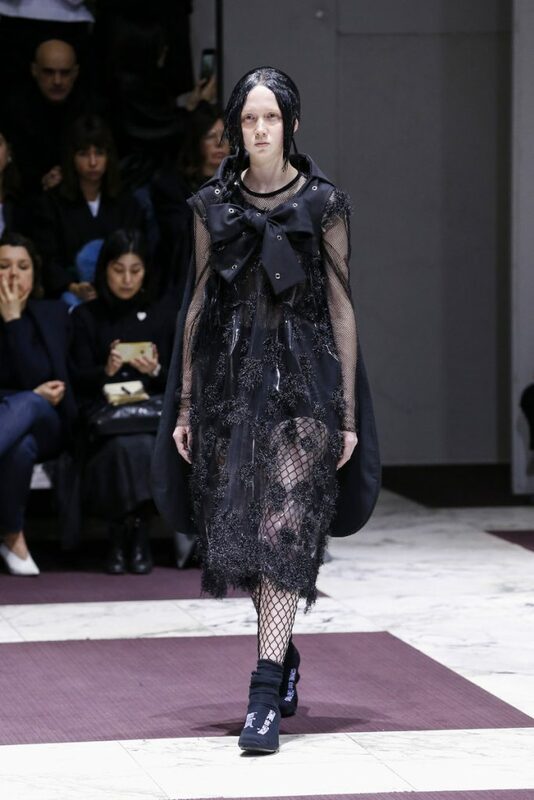 And as dark as these shows usually already are, it added to the gloomy (almost scary) effect of the show. 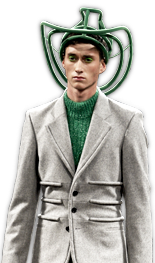 Like zombies risen from the dead the models had an empty glaze as they walked by sported one after another architectural piece. 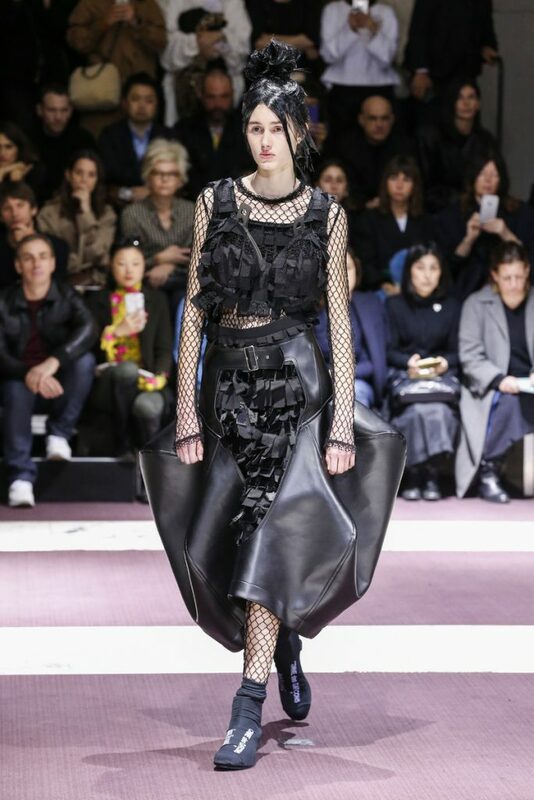 Black leather, black tulle, black mesh, black lace and a few hints of bright purple, a touch of yellow and red. 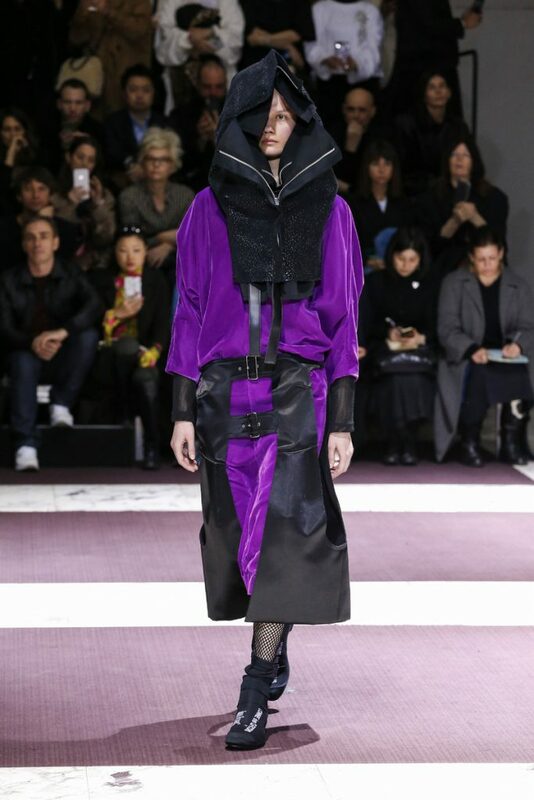 The mix of textures in the black collar palette made it even more difficult to distinguish one piece of clothing from the other. 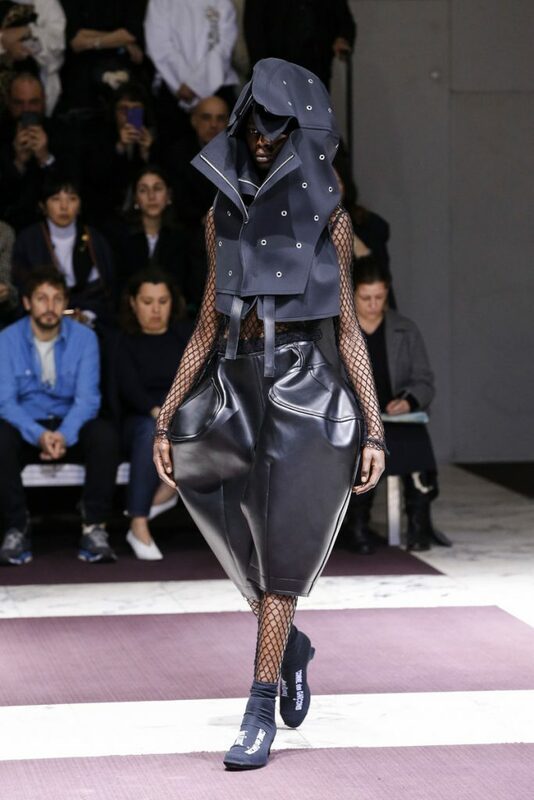 Military references and lots of indefinable shapes and layers; we’re not quite sure what we’re witnessing here. 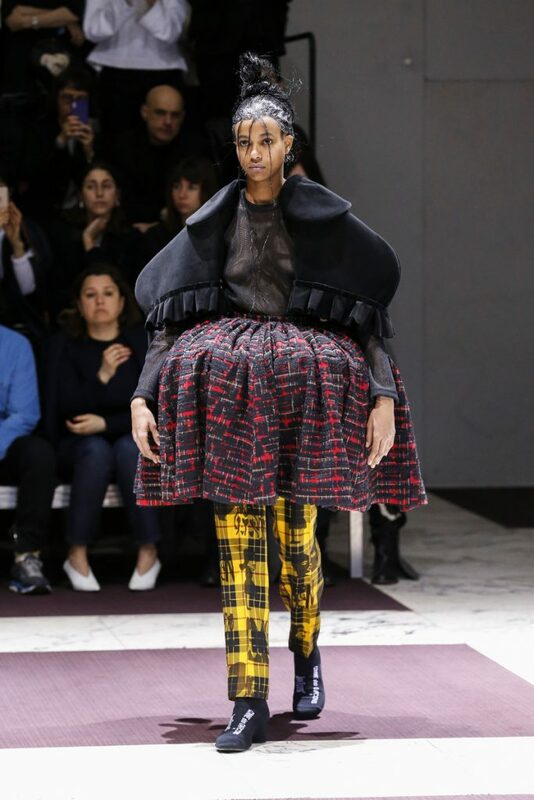 Yet one thing’s for sure: the picture aint that pretty. 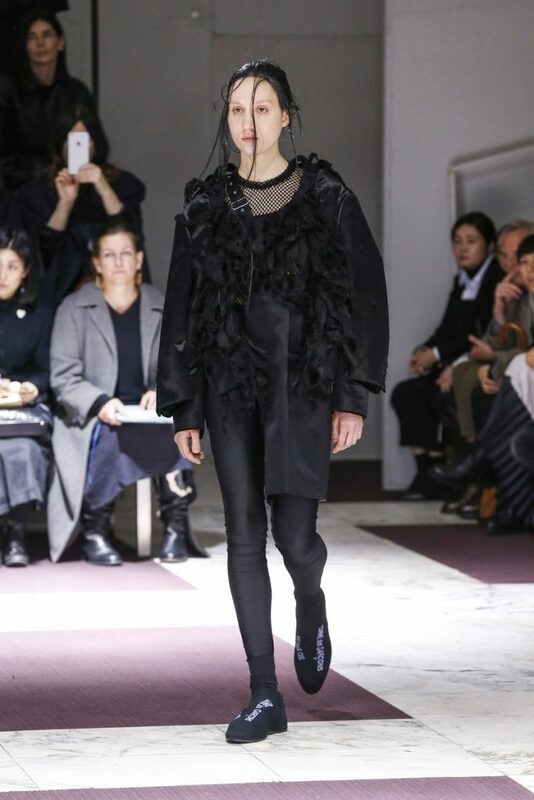 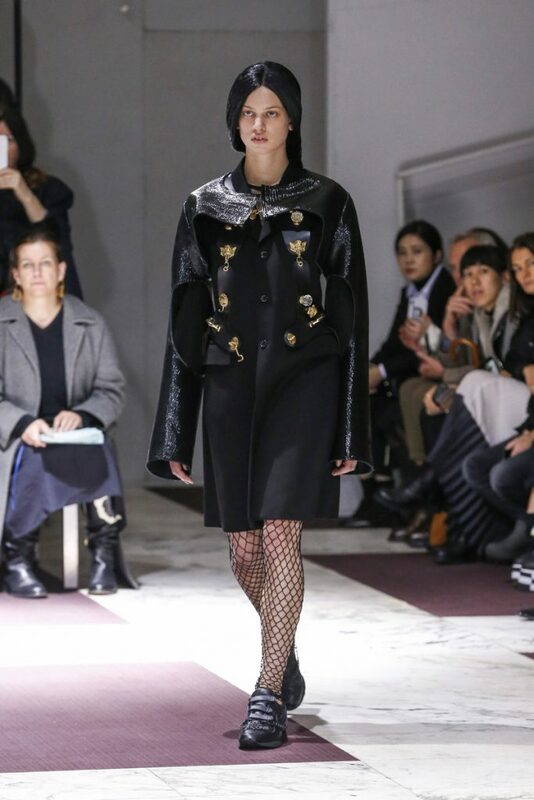 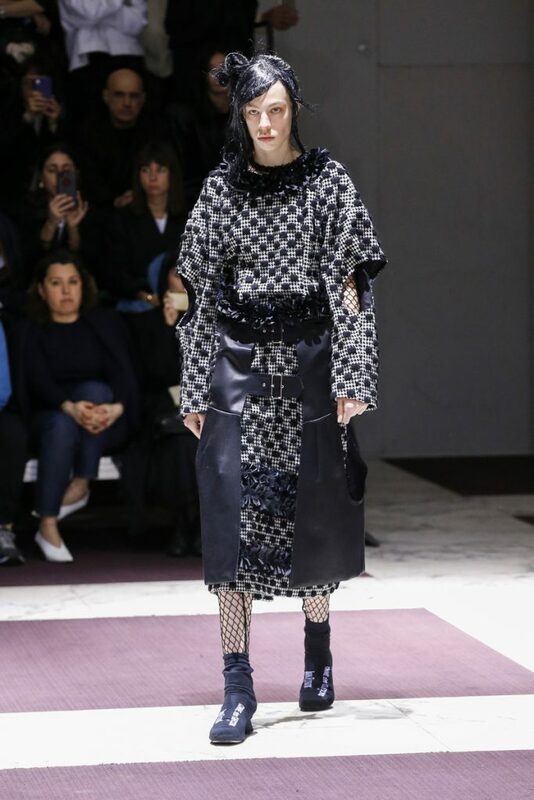 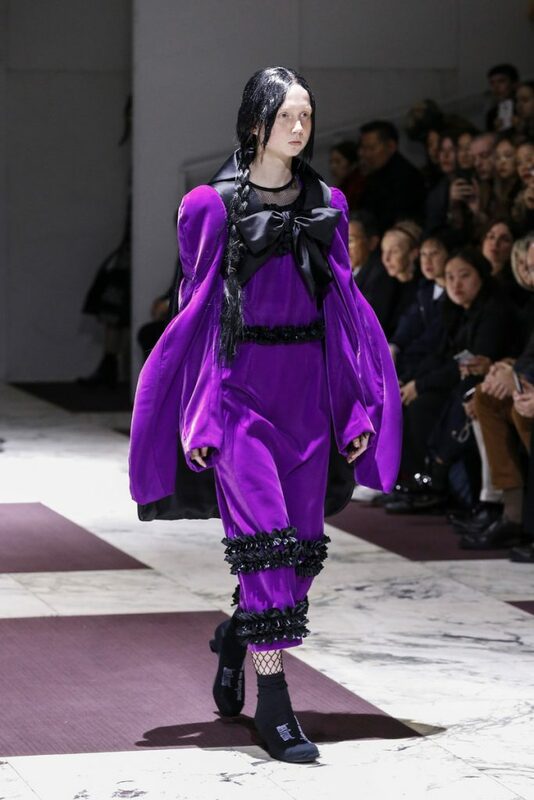 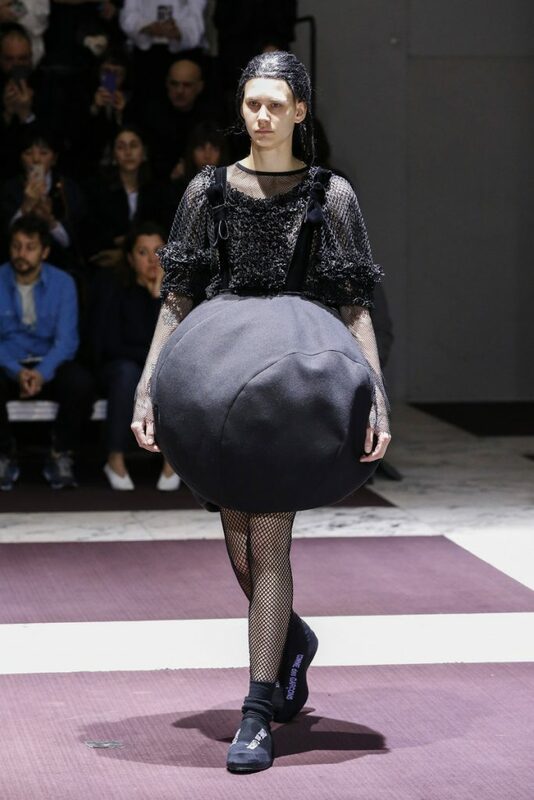 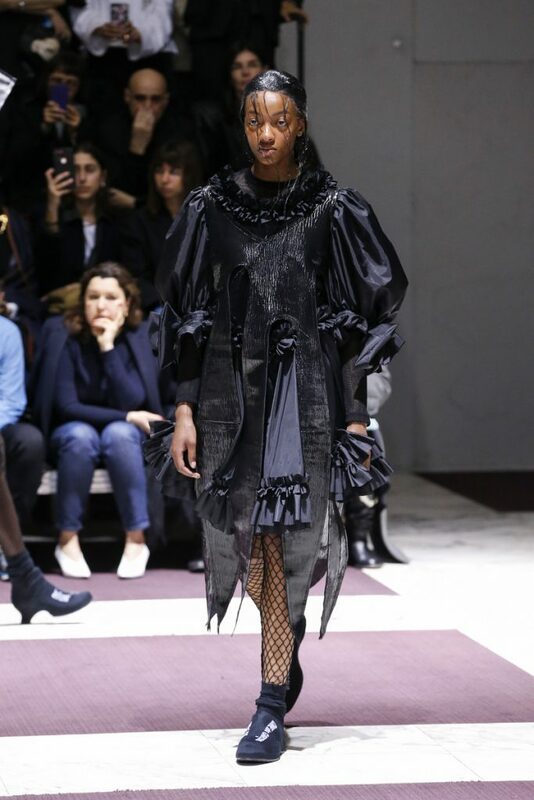 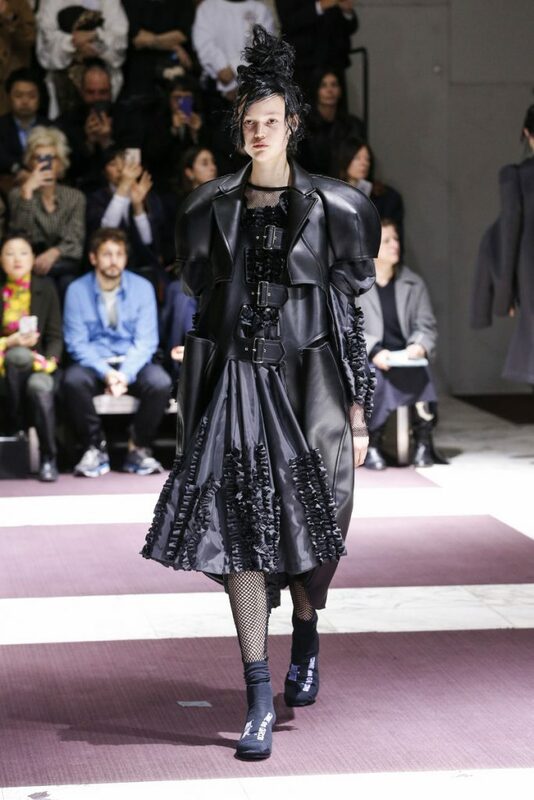 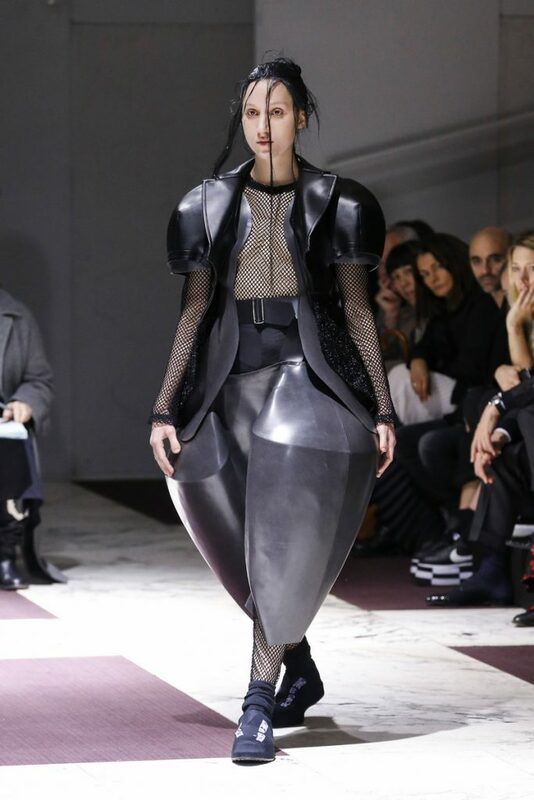 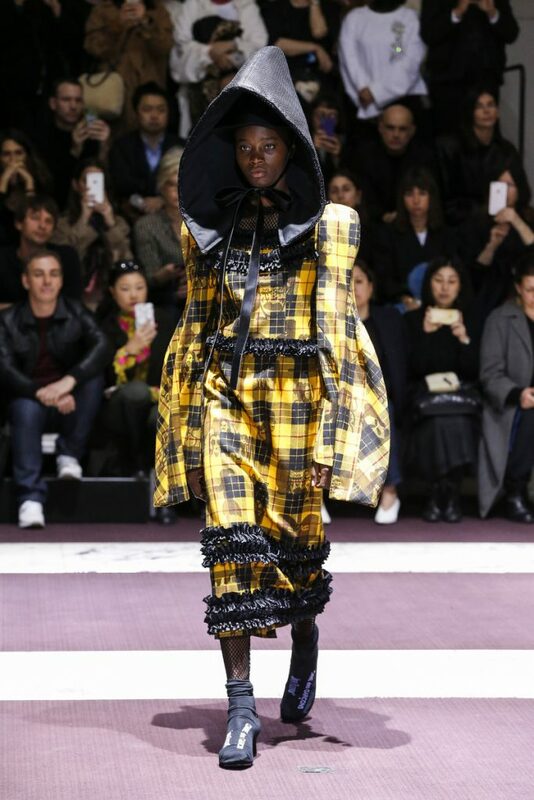 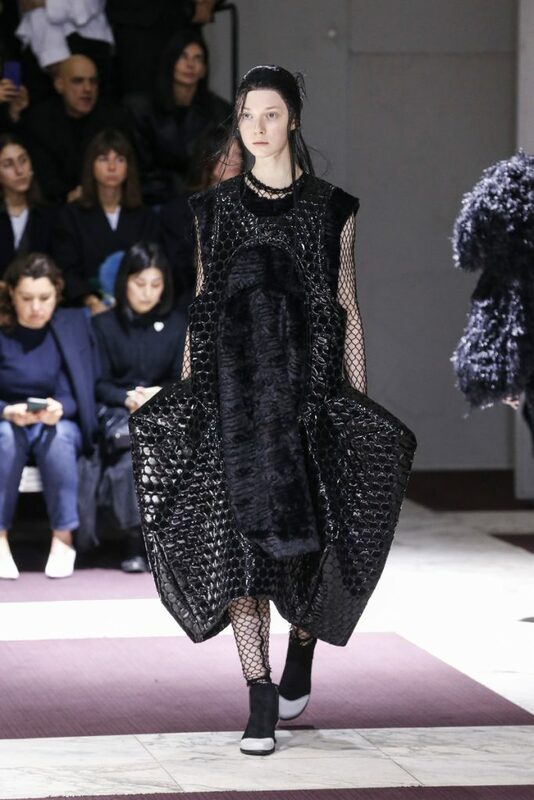 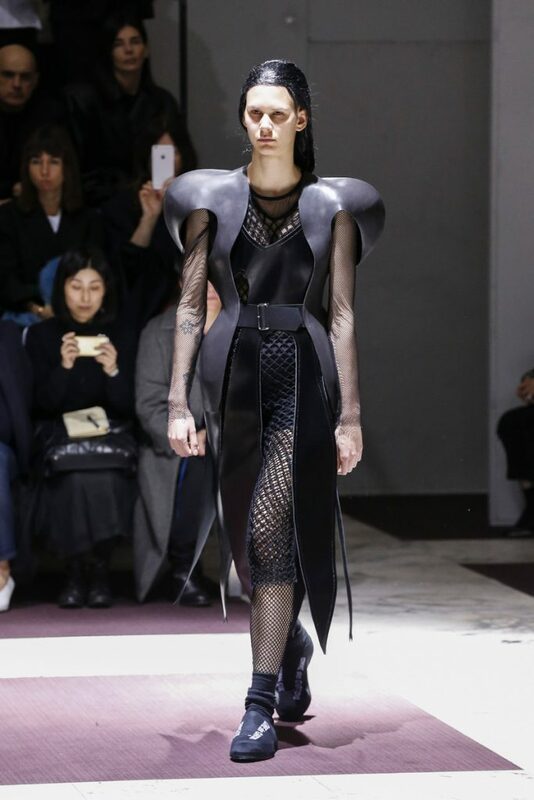 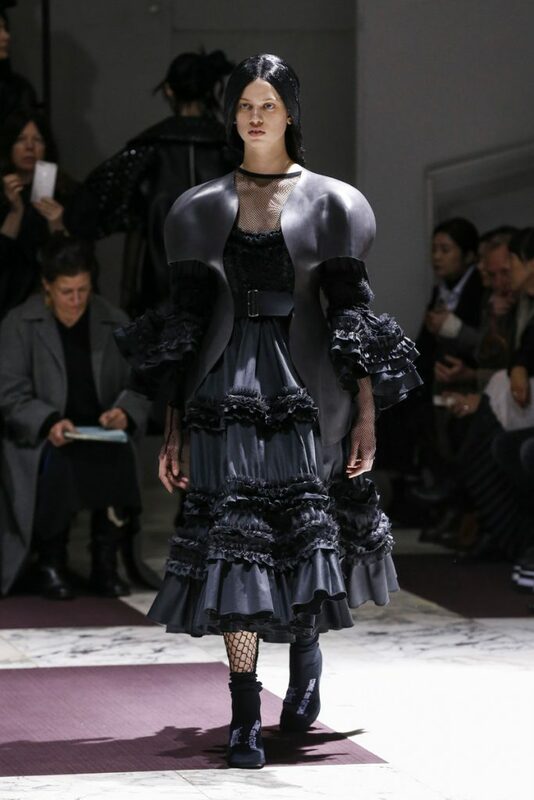 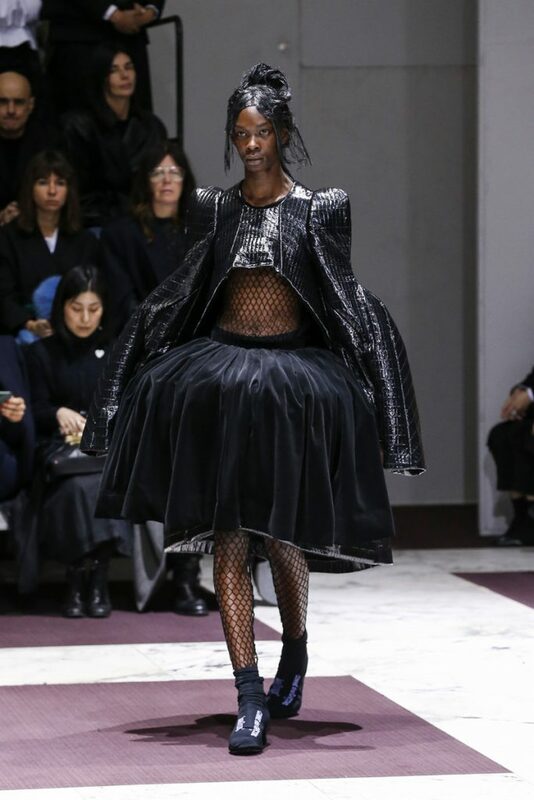 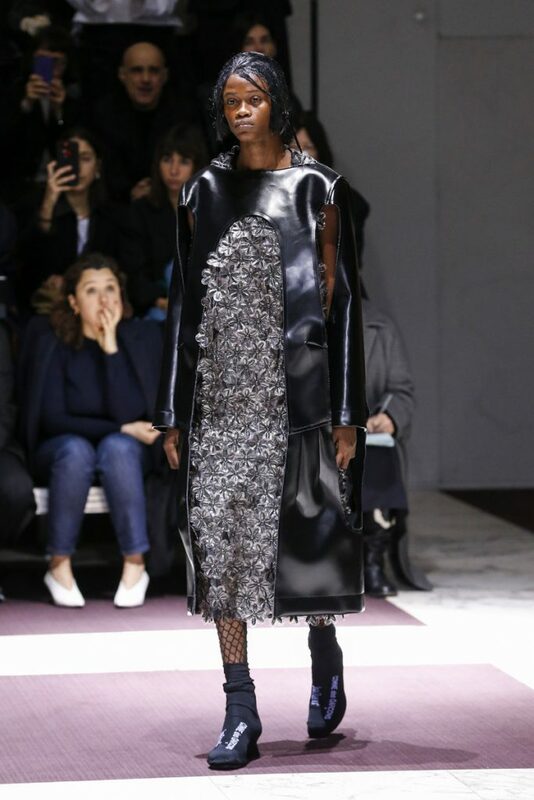 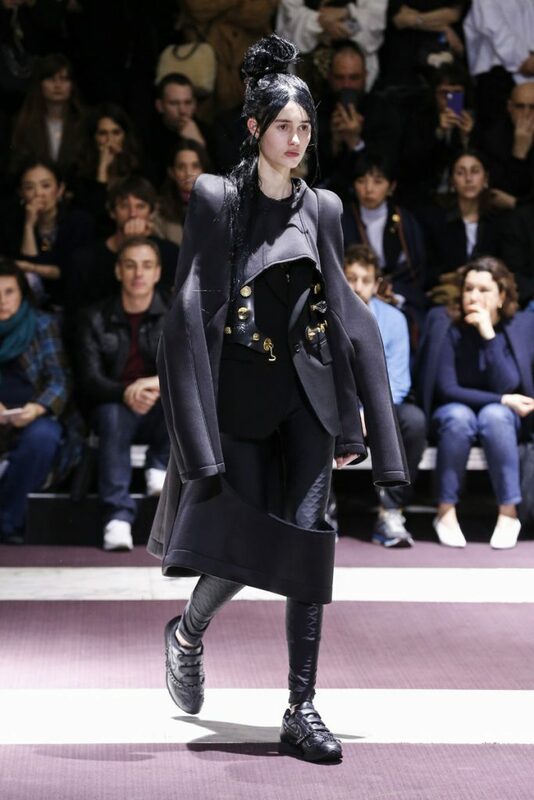 But then again that’s never Rei Kawakubo goal now it it?